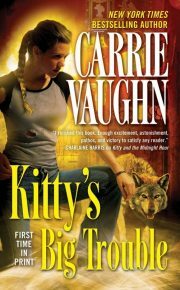 2011’s Kitty’s Big Trouble is the ninth volume in Carrie Vaughn’s Kitty Norville series. 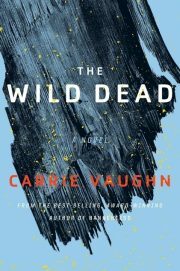 Kitty has a new hobby: finding the werewolves, vampires, and other fantastic beings hidden in plain sight in human history. But no sooner does she find proof that Wyatt Earp dabbled in vampire slayage than she is asked to go on another road trip. A treasure hunt. 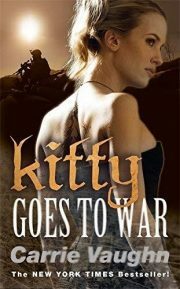 2010’s Kitty Goes to War is the eighth book in Carrie Vaughn’s Kitty Norville series. Having survived an amateur remake of The Most Dangerous Game1, Kitty returns to Denver. 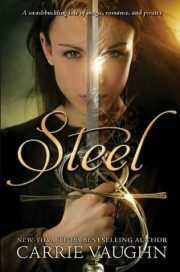 Because life is like that, she finds herself wrestling with not just one but two crises. 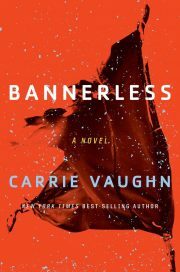 2017’s Bannerless is the first volume of Carrie Vaughn’s Bannerless Saga. Plague and natural disasters brought down civilization as we know it. Where once there were vast cities, the Fall left only small hamlets trying to preserve what technology they can. Humans being the social animals they are, they still form communities, still have customs and laws to guide them. Humans being humans, customs and laws require enforcement. For this, the Coast Road communities rely on investigators like Enid and Tomas. From banner violations — illicit childbirth — to murder, from hoarding to domestic violence, it is up to the investigators to determine if a crime has been committed and deliver judgment. Sometimes, as in the Pasadan case, whether or not a crime was committed is not at all clear. 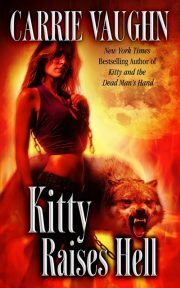 2009’s Kitty and the Dead Man’s Hand is the fifth volume in Carrie Vaughn’s Kitty Norville series. 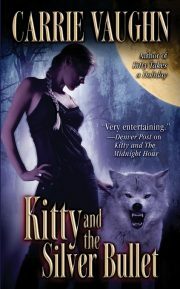 Faced with conflicting family-and-friend expectations for their impending nuptials, werewolves Kitty Norville and Ben O’Farrell decide to evade the whole brouhaha by fleeing to Las Vegas for a small, private wedding. What could possibly go wrong? 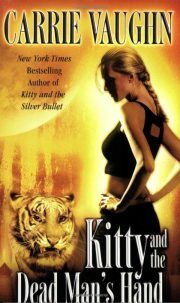 2008’s Kitty and the Silver Bullet is the fourth volume in Carrie Vaughn’s Kitty Norville series1. Werewolf DJ Kitty Norville fled Denver (or rather her abusive, Denver-based werewolf pack) in Kitty and the Midnight Hour. She never intended to return. Now she has no choice. Her family lives in Denver and her mother is deathly ill.
It’s a safe bet that her former alpha Carl and his mate Meg will not react well to news that Kitty is back in town. How Carl will react is a serious concern … but not the most serious issue Kitty will have to face. 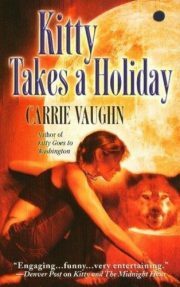 2007’s Kitty Takes a Holiday is the third volume in Carrie Vaughn’s Kitty Norville series. Determined to discover her inner writer, werewolf Kitty Norville put her radio show on hiatus and rented an isolated house. Thus far all she has discovered is her inner writer’s block. Fate is kind to Kitty. Kitty will have distractions galore from her writing issues. 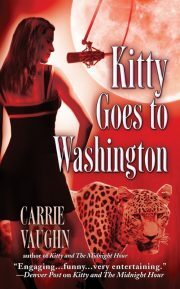 2006’s Kitty Goes to Washington is the second volume in Carrie Vaughn’s Kitty Norville series. DJ Kitty Norville receives a subpoena to appear in front of the American senate. The government has taken note of the supernatural. Lucky Kitty wins a starring role in the hearings to come. She is, after all, the best-known werewolf in America. 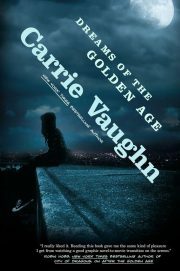 Carrie Vaughn’s 2017 Martians Abroad is a standalone young-adult SF novel, written in the manner of a very famous series of juvenile SF novels. In fact, it seems to be a response to a specific juvenile SF novel, about which more anon. 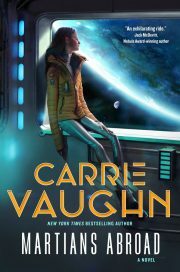 Young Polly Newton has a bold plan for her life, one that involves pilot school and helming humanity’s first starship. Polly’s mother also has bold plans for Polly and her brother Charles. Those plans involve an unwanted sojourn at the prestigious Galileo Academy on Earth. Polly’s plans are irrelevant. Mother knows best. Martha Newton didn’t become Director of the Mars Colony by being easy to out-manoeuvre. By the time Polly learns what her mother has planned, it is too late for either Polly or her brother to do anything about it except pack their bags and give in to the inevitable. 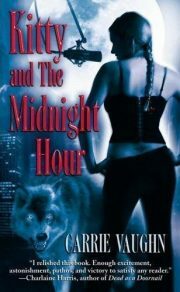 Even by 2005, when Carrie Vaughn’s  Kitty and the Midnight Hour was first published, I had read a great many urban fantasies/paranormal romances (courtesy of Andrew Wheeler at Bookspan), I had read enough of these to understand that although the Kitty Norville books share many of the surface features common to the genre, the series is more than a little different under the hood. When we first meet her, Kitty Norville is a late-night radio DJ on Denver’s radio K-NOB; she is obscure and seemingly fated to stay that way. This changes dramatically when she more or less by accident discovers a brand new niche for late-night call-in shows: the Midnight Hour becomes the show you call if you’re a werewolf, a vampire, or a vampire’s thrall, and you need to talk to someone about the unusual demands your condition imposes on you. Kitty understands because Kitty is herself a werewolf.